The ill-fated attempt to launch the 'Amos 6' satellite last Shabbat was sanctioned by the Chief Rabbi as a life-saving concern. 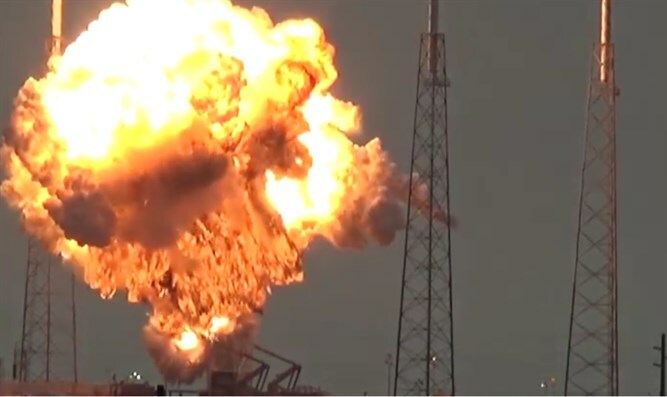 The explosion at the Florida launch site that inflicted irreparable damage on the Israeli "Amos 6" satellite prevented the launch of the satellite last Saturday, on Shabbat. Rabbi Lau also sent a senior figure from the IDF Rabbinate to Florida in order to examine the matter closely and instruct the Jews working at the site on how to avoid Shabbat violations in issue which aren't within the realm of life-saving matters.